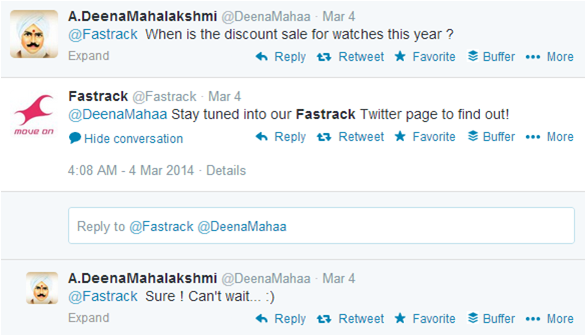 Fastrack was an early adopter of social media and the brand has always managed to pull off good campaigns on Facebook and Twitter. The brand has earned the reputation of being experimental, innovative and has gradually spread its presence on major social platforms. They have also previously engaged users with Facebook-centric offers, strategizing to increase the revenue of the brand. 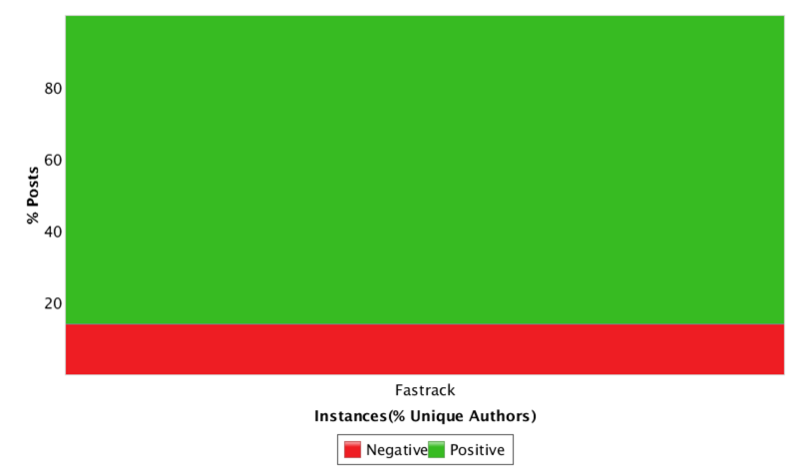 My study period is based over the last 30 days and an in-depth analyses of Fastrack on two major platforms, Facebook and Twitter using the tool Explic8. Fastrack has more males interacting with their post than females. 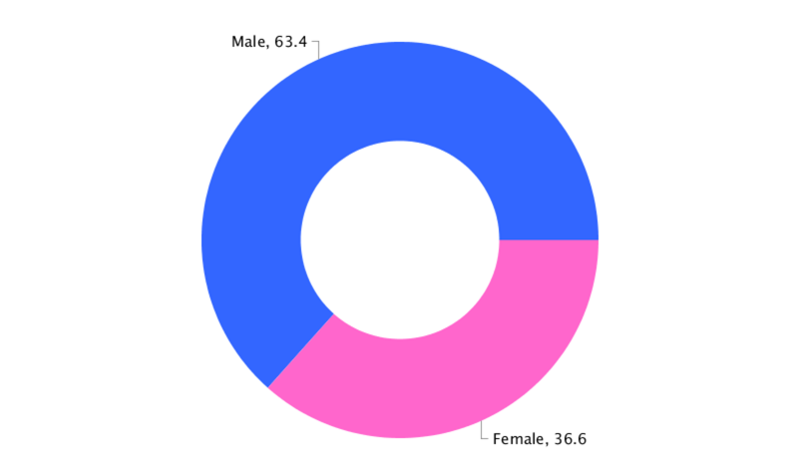 63.4% of the posts have been contributed by males while only 36.6% by females. This is a decent number, considering the brand caters to both the genders. It has been updating more women oriented posts in March though, with the campaign #ShesGotTheLooks. The brand has a huge fan following of 9 million, owing to their early start and has over 157K people talking about the brand. The platform is majorly used for product awareness. 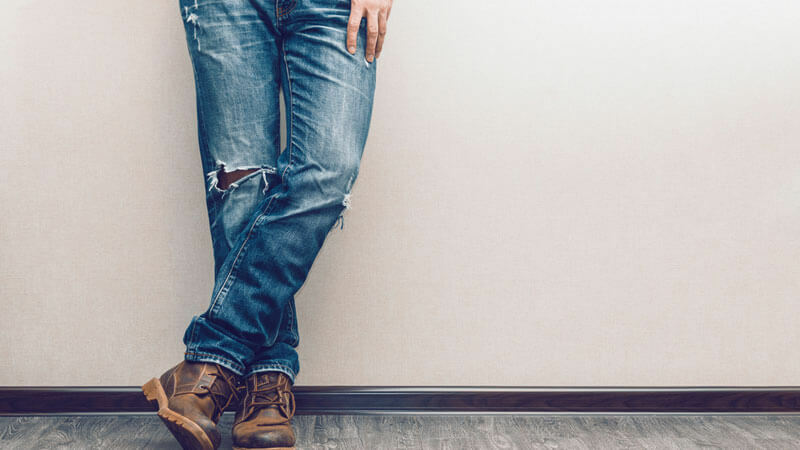 In the month of March, the goal of the brand has been more focused on customer acquisition and, in the process, they have managed to build engagement too. On an average, the brand posted 1-2 posts a day which is a decent number of updates, in a day, and a total of 36 posts. 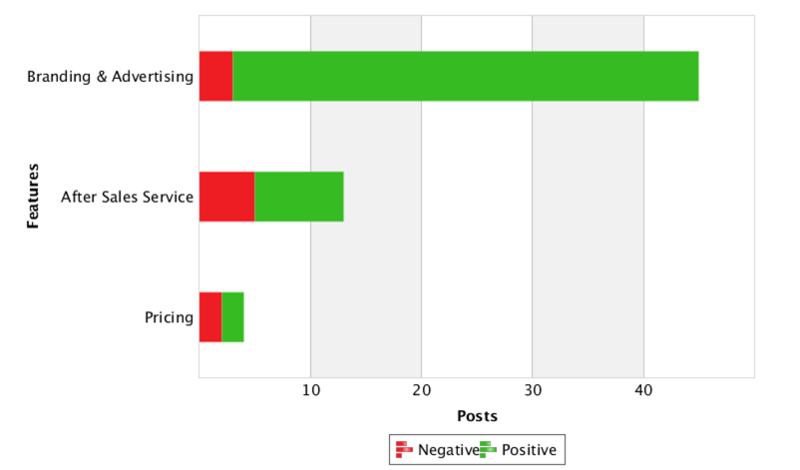 The stakeholders have contributed 97.5% of the posts, a total of 1399 posts. Two properties were promoted the most, as observed during the study period. #ShesGotTheLooks and #SmarTEES. This was to promote the launch of trendy sunglasses for women and funky watches for men. The cover image shouts out the hash-tag too. However, these hash-tags had no contest, activity or application associated with it. A range of fun watches have been launched which are being promoted with #SmarTEES using attention grabbing lines. It targeted college kids with low pricing of the watches and catchy lines written within them. Such updates are working well for the brand. A good interaction with an average of 6K+ likes and 100+ shares per post is being generated. 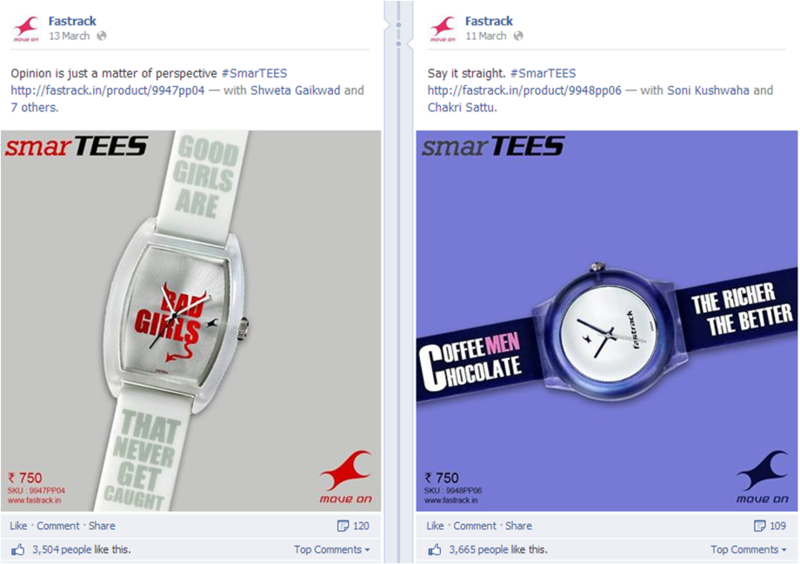 Fastrack is using the platform effectively for product awareness. Though #ShesGotTheLook is receiving only half the interaction, it could have got better traction with a contest. In terms of customer service, the brand is helpful and active within the comments section of each post. The brand replied to the user below by trying to find a location closest to her instead of blindly replying with a Store Locator link. Such helpful customer service is limited to only a few brands who believe that tracking and understanding their customer needs through social media is important. However, I was surprised to see that the brand is not promoting its online offerings among its customers. Though Fastrack products are available with leading e-commerce websites like Flipkart, Jabong etc., it is trying to seek offline sales. This gives the brand a great opportunity to execute some cross branding activities with a giant like Flipkart, whose social presence is well appreciated. On Twitter, the brand has a huge following of 57.2K followers. However, not much interaction or activities for initiating engagement is taking place on the micro blogging site. Infact, they are also using the same content on Twitter as on Facebook and there is nothing exciting that is keeping the page buzzing. I expected to see some activity around the launch of the #SmartTEES watches. However, I did not find any interaction with the hash-tag, nor the same response as on Facebook. Only the brand tweets with the hash-tag are present. The same is the case with #ShesGotTheLooks. A small contest was run with a hashtag #Framed which got a couple of interesting entries. However, since the contest was only a day short, not many entries came along. 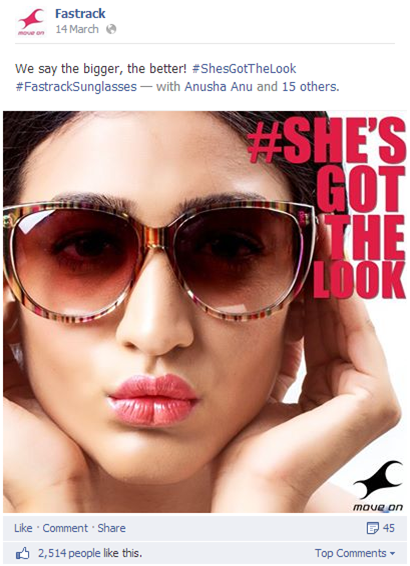 Though the contest was linked to the new range of frames by Fastrack, it did not come across very strongly. It is confusing to know what the brand was trying to attempt or achieve. 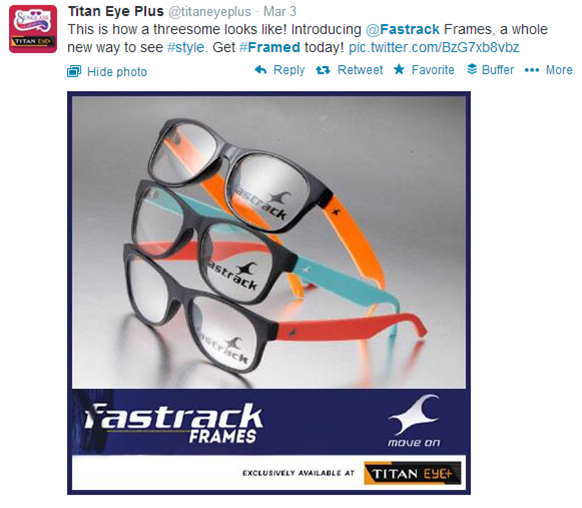 The #Framed activity was also promoted by the Titan Eye Plus Twitter handle. In terms of engagement, however, the brand is lagging far behind. Neither has it made an attempt to track conversations about it nor has it responded to users tagging the handle. A user below was recommending the brand but she was not acknowledged. Retweeting positive user views always lead to a better brand image online. In the entire month, the brand has shown interest only in 1 user. 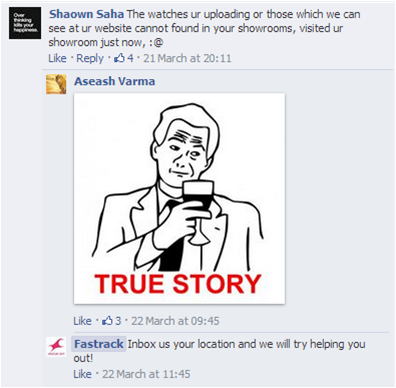 Fastrack is not concentrating on building interaction with its customers online after building a sizeable community. Mere promotions is what the brand seems to be attempting which, however, does not work on social media. 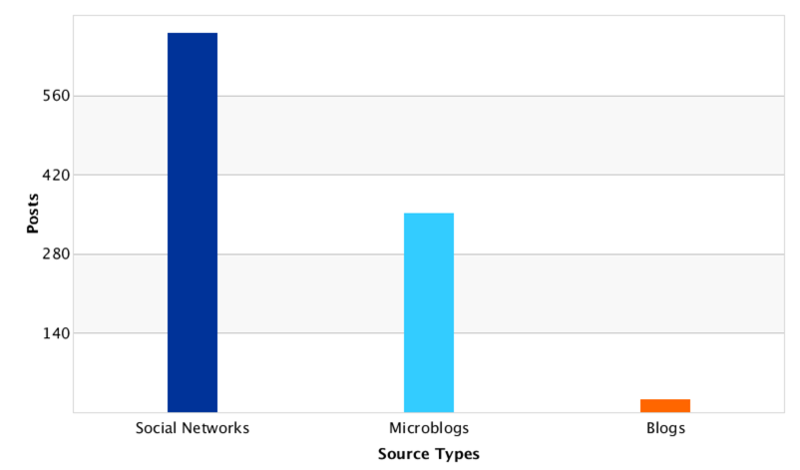 Out of most of the social media platforms, Facebook, Twitter blogs are among the most dominant platforms where most brand mentions and conversations happen. 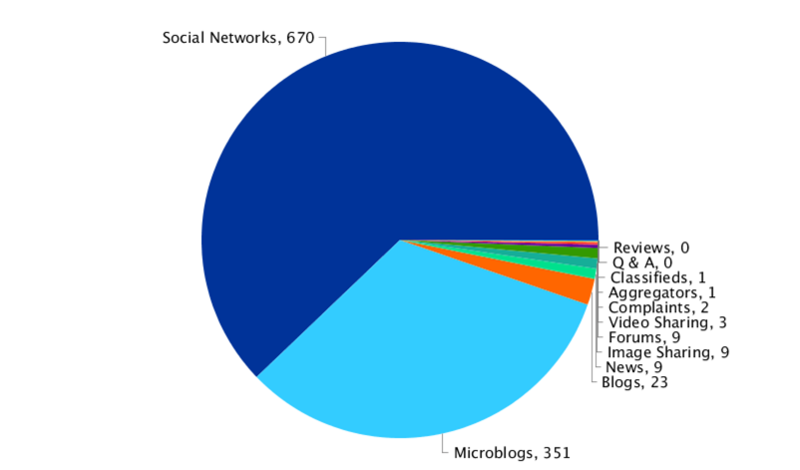 While 64.2% of the mentions are made on Facebook, 33.6% of it is contributed by Twitter and 2.2% by blogs. If the brand interacted more on Twitter, so many more mentions would build up for the brand. Over 670 posts have been posted on various social networks while only 351 posts are spread across microblogging sites, majorly Twitter. Over 23 blog posts have been written about the brand and 9 news articles have been published. 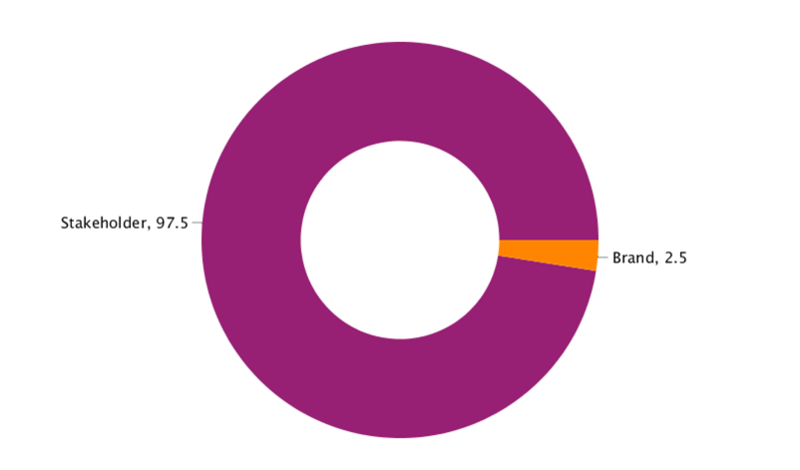 Fastrack has a very positive sentiment on Facebook, with 86.1% users talking positively about the brand, while only 13.9% users talking negatively. This brings us to analyze the sentiments around the key topics of the brand. Branding and advertising, after sales service and pricing are some of the topics over which people are expressing their sentiments. The brand has a fairly positive sentiment on most topics. Except pricing, which is balanced with 50% positive and 50% negative sentiment. Though they have a mass following which they have painstakingly built, they are not using it to its maximum potential. It’s high time they started tracking and monitoring conversations about the brand on Twitter as well. 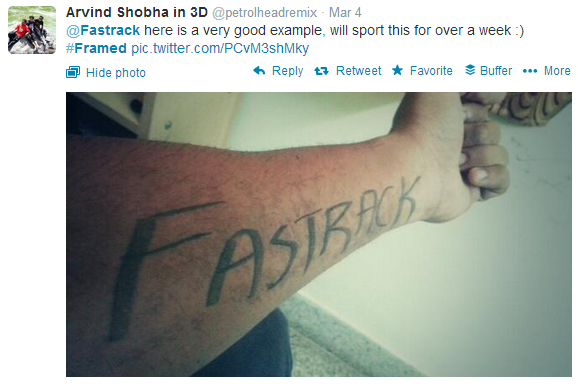 It seems that on Twitter, Fastrack is on a wrong track. I expect the brand to start associating their products with better brand campaigns.